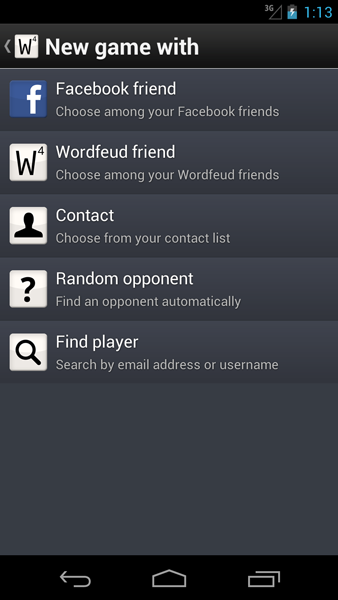 Wordfeud. 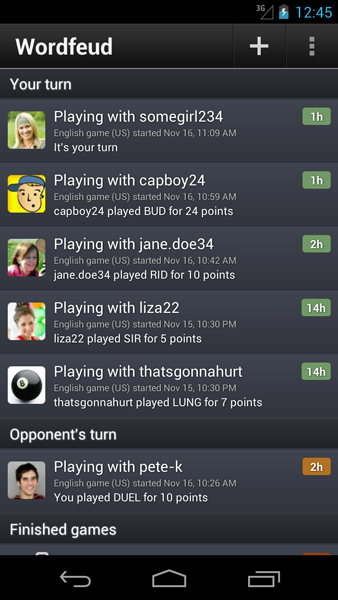 Multiplayer word game for iOS and Android. A free multiplayer word game for iOS and Android. Challenge your friends or play against random opponents. Play at your own pace. Participate in up to 30 games simultaneously. Invite friends from your contact list. 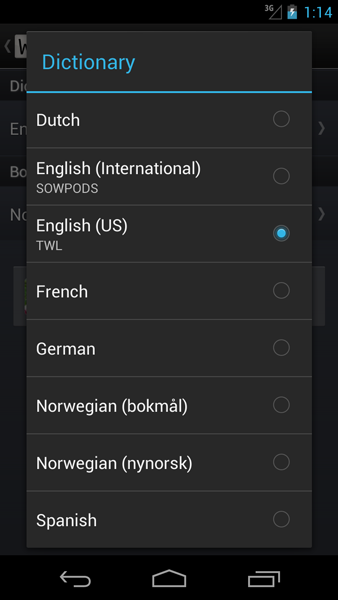 English, German, French, Spanish, Dutch, Swedish, Norwegian, Danish, Portuguese and Finnish dictionaries. Supports iPhone, iPod Touch and iPad (iOS 8+). Supports Android 4 and above. Click to display full size screenshots. Questions? Problems? Suggestions? Send us an email at support@wordfeud.com. For other business enquiries please send an email to email@wordfeud.com. Copyright Bertheussen IT AS 2010-2017. All rights reserved.